Love INC of Marion Celebrated 25 Years in 2016! In 1990, several ministers were concerned about the many people stopping at their churches to ask for aid. This began a search for information about a program called Love In the Name of Christ sponsored by World Vision. It took about a year to gather together interested people from at least 6 denominations to make the program a reality in Marion. On February 10, 1991, the dedication service was held at Salem UCC. When Love INC was organized, each member church had a lay person involved to take care of needs when the Love INC office contacted them. 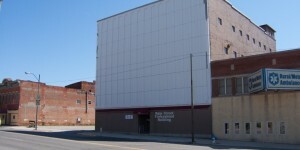 After several moves, many attempts at various ministries, and much help from the Love INC national headquarters, the Love INC office moved to its present location at 196 South Main Street in 2009. Despite hard economic times, it has continued to grow and meet the requirements of people in need in our community. God continues to bless us as we look forward to becoming more involved in relational/transformational ministry – ministry characterized not only by hand-outs but by hand-ups as volunteers build trusting relationships with people in need, encourage and include them in the solution to their need, and allow the Holy Spirit to work to bring about physical and spiritual transformation.